DJ T. ’s next remix is out on Oblack Label, which is one of THE upcoming House/Tech House labels of these days. 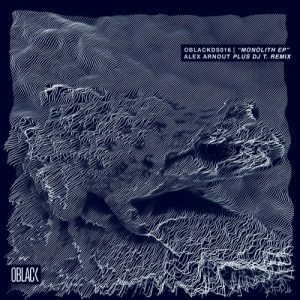 Our artist was asked by Oblack to deliver an interpretation of Alex Arnout’s track “Monolith”, which is an old school house track with cool percussion loops and breakbeats, rhythmically played synhtie-stabs and short vocal snippets. His interoperation is a timeless piece and came out – by his standards – as a quite banging and bigroom compatible one.